Brahmin tasked us with increasing their brand's awareness and strengthening the brand's connection with their target consumers. Through research, we learned that Brahmin fans were discerning, confident handbag buyers that valued Brahmin's quality and classic, elegant styles. We also discovered a small but very passionate pocket of loyal Brahmin consumers. With this context, we developed four concepts to reach these women and stand out in the fashion category. 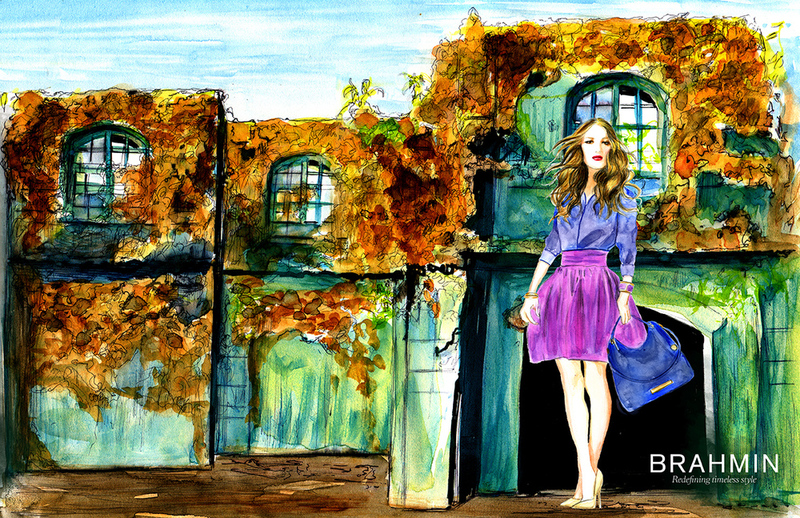 The need for a print ad was clear, since these consumers look to magazines for fashion news and inspiration. We also chose to recommend an exclusive event to reward and excite devoted fans—building a deeper connection with the existing consumer base and turning them into brand advocates. mood board:For those in the know, Brahmin is a symbol of supreme confidence in one’s personal style. It represents the secret knowledge that your look has more to do with how you carry yourself than with what you’re carrying. It’s an aura so recognizable that the moment you see it, you’ll know. Brahmin fans are invited to an exclusive outdoor dinner party after dark in a secret location and are encouraged to bring a trusted friend to introduce to the Brahmin “club.” The luxurious event feels even more magical, unique and unexpected thanks to its outdoor setting. 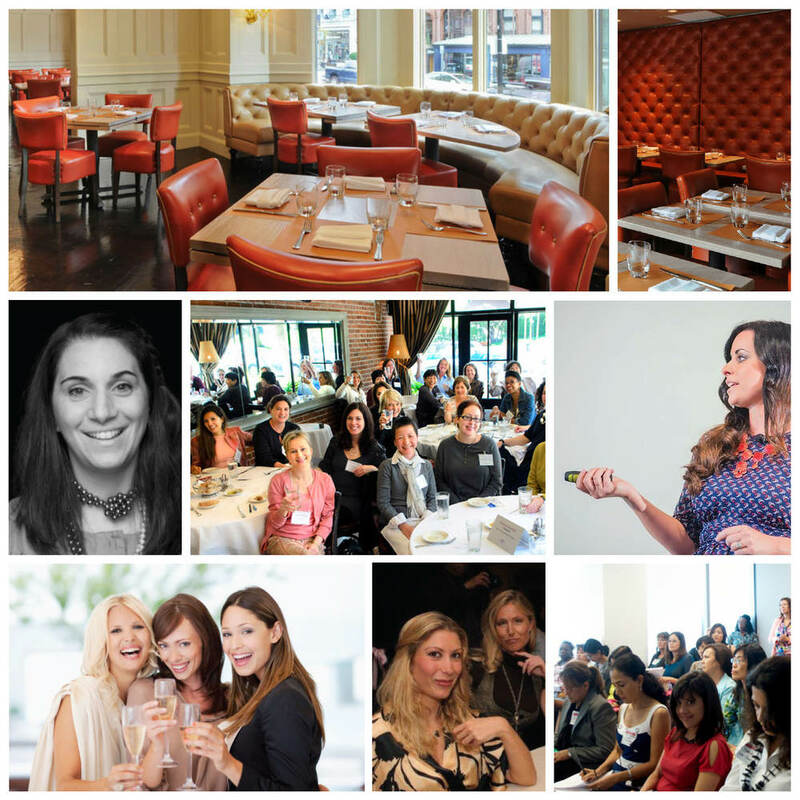 Attendees will enjoy dinner, drinks, and meeting other women in their area who share their style, all while getting a spectacular night out with their friend and five-star treatment from Brahmin. Invitation:Fans receive an elegant box with a mysterious gold key. The date and time is provided, but the location is kept secret. 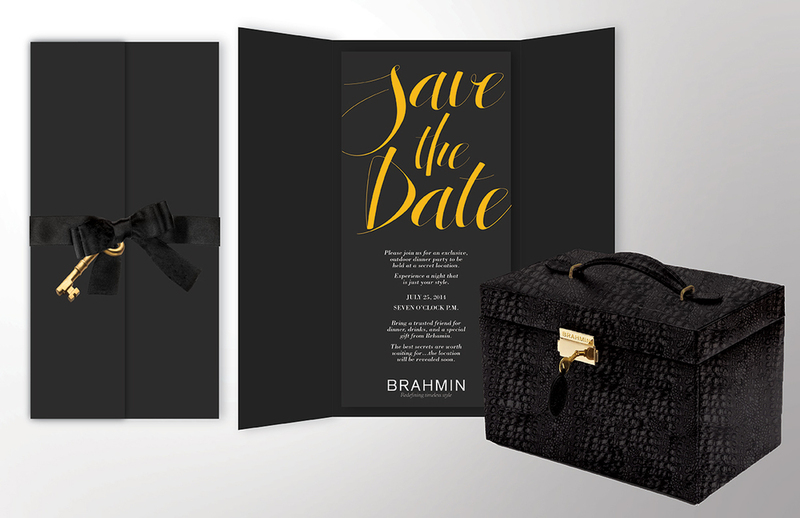 The day of the event, fans who have RSVPed receive a small locked jewelry box in Brahmin’s signature textured leather, which holds information about the event's location. Some women are graced with style inherent, imbuing each new look with effortlessness and elegance that radiates from their every accessory. When other styles have run their course, these women will be standing with Brahmin at their side. Brahmin insiders are invited to two events at a featured location that is significant to an area’s history or culture and is in need of restoration. These events are less women-exclusive and focus on Brahmin’s support of the community. The first event is casual, with a block-party atmosphere, that raises awareness of the restoration efforts. The second, more exclusive event takes place after the restoration is complete, and is an elegant brunch to showcase the restored building. Brahmin fans receive two invitations—the first a booklet telling the story of the location, the second a complementary booklet that chronicles the restoration process and completes the story. Both are conversation pieces, with engraved wooden covers and illustrations. Concept 3: "They'll Remember You"
Would you rather be remembered for your intelligence, your charm, your character, or your handbag? Brahmin is designed to be the exclamation point to your personal style, bringing together your look without blending you into the crowd. So, are you making a statement, or is your statement making you? 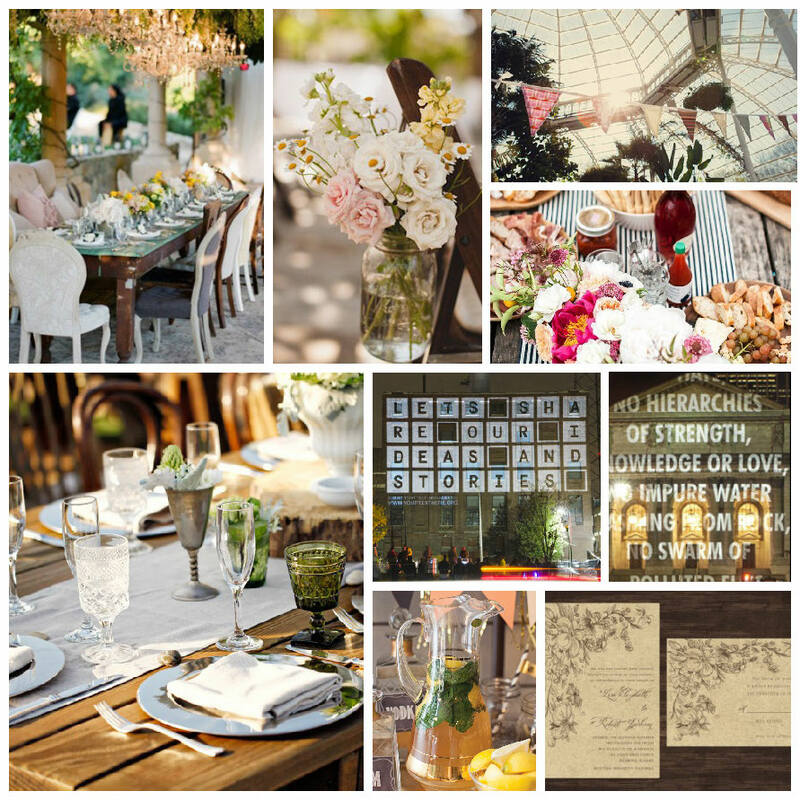 Similar to the scene in the print ad, this event is a casual-chic cocktail party. Brahmin fans are invited and encouraged to bring their girlfriends for a stylish and fun night out that celebrates them as confident, fashionable, empowered women. Professional photographers will be on hand to take gorgeous photos of these women at their best. 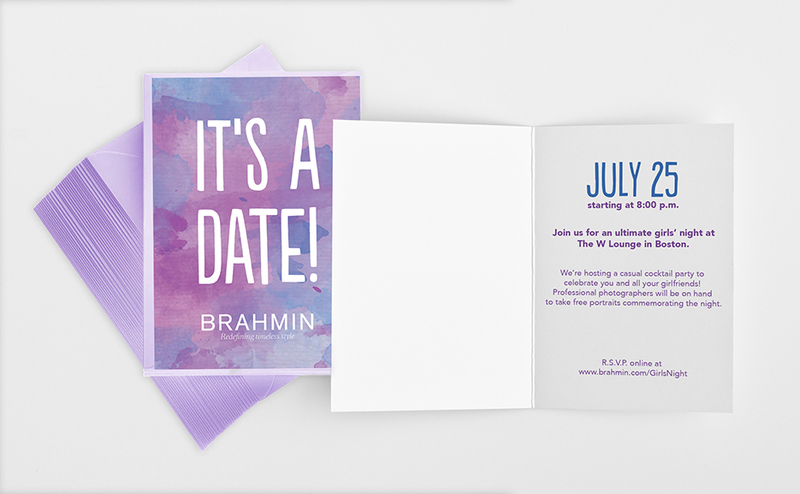 Brahmin fans receive a brightly-watercolored mat board piece with a pop-out invitation card in the center, as well as a small bundle of additional pre-postmarked invitations for the Brahmin fan to give to friends. The space left by the invitation card creates a frame to house a gorgeous photo of the woman and her friends taken at the event. Concept 4: "The Brahmin Woman"
Brahmin fans are invited to an exclusive, elegant luncheon that features guest speaker Nancy Lublin. Nancy would discuss her experiences with DoSomething.org, Dress for Success, and the Crisis Text Line and answer audience questions in a candid Q&A session. Attendees can forge connections with other women who are positive forces in their communities and be inspired by Nancy’s story to take action. Invitation: Brahmin fans receive an elegant letterpress invitation that covers the basics of the event and then invites recipients to visit a microsite to learn more, RSVP, and watch an exclusive video message from Nancy.